Robin started playing over 65 years ago. At the age of 9, he started on Tenor Horn with the Parkend Silver Band, where he lived at the time. In his early playing career, he also played with the Blakeney Silver Band, now long since defunct. 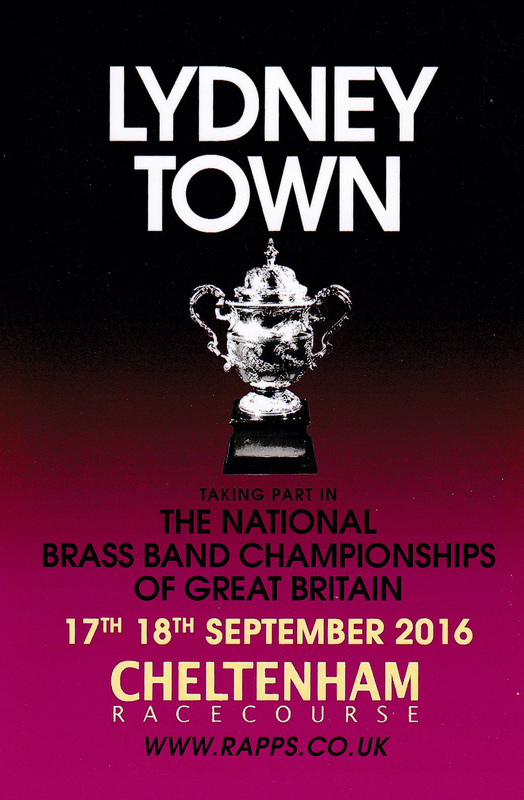 The only information readily available about Blakeney Band was that they competed at a Contest in Fairford in July 1956. The Band played ' The Dawn of Spring' but did not feature in the prizes. Following on from his time at these Bands, Robin moved to Pillowell Band, where he remained for a few years. After this period he then joined Lydney Town Band and has played there ever since. He has seen the Bands fortunes rise and fall and has been an ever present, loyal, reliable and hardworking member. For many years, Robin was the Band Secretary and was involved and instrumental in the major decisions to ensure the Bands continued presence in the Brass Band scene within the Forest of Dean including a successful sponsorship deal with the local manufacturing firm, Lydmet. He is rightly proud of his efforts with the Band, particularly whilst Secretary, he started the Annual Poppy Appeal Concert in Lydney Town ably assisted by Dorothy Marshall from the Lydney British Legion branch based in the High Street - an annual event that still continues to raise much needed funds for the worthwhile cause. His main banding highlight came in the mid eighties, when Lydney Town Band played in the impressive setting of the world famous Royal Albert Hall in London. It remains the dream of most bandsmen to play on such a stage; an honour indeed. Another impressive hall that remains in Robins memory is when Lydney Band played at the National Finals in the Symphony Hall in Birmingham. The Bands fortunes took a dip in the early 'noughties' but Robin remained loyal. With the creation of Lydney Training Band in 2005, Robin willingly supported the youngsters at the various local events to provide a Bass part to the ensemble. The Training Band is now going from strength to strength benefiting from Robins continued, reliable support. In 2013, it became evident that there was a need to create a Lydney Starter Band. Needless to say, Robin also supported this group of learners at the local elderly peoples residential homes. His 'parting gift' to the Band was his involvement in the Bands performance at the National Brass Band Championships of Great Britain held in Cheltenham in September 2016. The Band achieved a magnificent 7th place, competing against the top 4th Section Bands in the UK. A fine achievement in a Brass Banding career that spanned over 65 years. We will always be in his debt for his selfless work for the Lydney Town Band organisation. We all wish him a happy retirement from Banding and we are sure he will enjoy spending more time with his understanding and patient wife, Eileen.